We represent an ever growing portfolio of villa rentals, spread over 50 destinations worldwide. From 1-bedroom penthouses to 42-bedroom estates, our villa rentals fit a wide variety of clients and occasions. When you add these villa rentals to your inventory of properties, your agency becomes a better profit center and a more interesting place for your clients to visit. We help you expand your market; you get the contact, you get the sale. Travel agents: Do you want to expand your market & increase sales? Old Goa was once one of the world’s great cities – bigger than London – and home to grandees, adventurers and slave-traders. Its surviving churches and convents are designated a World Heritage Site by UNESCO. There’s no place like Goa differentiated in 3 sections: North (the popular India Candolim to the russian hangout like Ashwem), South (European favourite Dona Paula to the famous Leela beach), Mainland (Panjim belt for the the main city to Old Goa Ribander) & Islands (Chorao, Divar, etc.). The former Portuguese enclave down India's southwest coast, has been a holiday destination since colonial times. A break in Goa can be much more than just a holiday on beautiful beaches: the Indian state has a fast-developing food and drink scene that embraces local and international flavours, as well as stylish modern hotels and ancient traditions. Oh by the way, located in North Goa, Bardez is a taluka, which is popular for its beaches and markets. Bardez refers to ‘bara desh’, which means twelve countries. 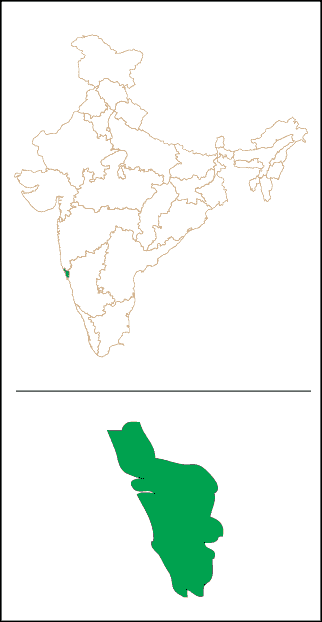 Twelve specific territorial areas, which together make the Bardez taluka, are Pombrupa, Olaulim, Anjuna, Serula, Aldona, Assagao, Moira, Machinola, Saligao, Candolim, Sangolda and Nachinola. There's more to Goa than food like sorpatel, vindaloo, prawn curry. There’s a sense of revelry, merriment and abandon in the air that is almost sinful. Eating, drinking, singing, and dancing are what Goans love to do, and their conviviality is infectious. The celebrations reach fever pitch at Carnival and Christmas; almost every little hamlet has its own little temple or church with its very own feasting and festivities. In fact, there seems to be a party going on in Goa all through the year. Many pubs and cafes have live bands playing on weeknights and countless shacks on the beaches of Goa resonate with international music. South Goa is sleepier than the north but what it lacks in cosmopolitanism it makes up for in natural beauty; the beaches and fishing villages of Canacona are set in a truly stunning landscape. There are dozens of yoga and wellness experiences, plus historical Portuguese and Goan heritage homes inland. And one of the best reasons of all to visit now is the brilliant food scene that is developing in north Goa. It is one of the most exciting in India: a modern cuisine with an identity all its own. Countless places to try it. If you’re looking to haggle for an on-the-spot dolphin-spotting trip, head up to the banks of the Nerul River, where lots of independent local boatmen operate, selling their services to a holidaying crowd. Prices vary so bargain hard, try the popular dolphin-watching trip that passes Coco Beach, Fort Aguada Jail, the fort, and ‘Johnny Millionaire’s House’. To get the real local flavour of Goa, visit the weekly haat in your neighbourhood and pick up dried red chillies, kokum and other produce directly from the farmers. Each place has its haat on a different day of the week, so do enquire about the one closest to you. Set in the Taj, it offers the best in Indian rejuvenation therapies ranging from Indian aromatherapy massages treatments, body scrubs and wraps. The spa experiences are offered by trained experts using exclusive natural products in a fresh and harmonious setting. One of the most unusual and successful ventures is the Saturday Night Market at Arpora, where vendors from all over India (including Goa) and from different parts of the world gather in a festive atmosphere and sell their wares. Live music and food stalls completes the scene. Carved out of the earth atop the Vagator Cliff, Club 9 Bar offers panoramic views and is one of Goa's top sunset spots, boasting an impressive outdoor dance floor of more than 1100 sqmt with a 3,000 people capacity sometimes open until much later hours, with an extensive cocktail menus and serves up everything from Pizzas to Indian food. The southern stretch of Anjuna Beach, and Candolim Beach beyond it, are home to plenty of independent water-sports operators, who offer jet skis, parasailing, waterskiing and the usual host of watery activities. Operations change seasonally; compare several to plump for the best rate. The ruins of a fort with spectacular views would be an ideal picnic spot if not for the monkeys. It is said that Rama stopped here after he was exiled from Ayodhya. For something closer , with a beautiful view, climb up a slope to reach Chapora fort ruins. There is no love sincerer than the love of food'. It's got class you will exclaim as you walk into the open air garden with its wrought iron furniture with its cushions in pink and blue. Have a chance to taste a few of their 'signature seasonal' preparations. The Scallopino de pollo (the chicken breasts filled with gorgonzola sauce on a bed of seared spinach and carrots) with crusty batons of potatoes. That sauce is finger licking good and when combined by the thin filets of chicken. The desserts are a pure delight from the semi frozen coconut creme brulee with pineapple Carpaccio, the Tiramisu to the Vanilla Pannacotta. Mention us and Dhara the owner will happily discount your bill. If there was one thing that was really absent from Goa’s menu, it was a good burger. But that gap has now been plugged. Presenting Burger Factory, a place that ‘manufactures’ good burgers. The bun is fresh, the patty is juicy and everything else just falls into place. This is not an ordinary burger, it’s a burger that defies all others that come before it on the Anjuna beach road. Lloyd’s is a five-foot something Goan often busy over the grill. Always packed with everyone from tourists to locals, and even other restaurant owners, Lloyd’s is a one-man army armed with his ever smiling sweet wife who manages all their clients like a tiny illusionist. Conjuring steaks out of previously marinated meats, the jovial, cheery atmosphere won’t let you ever feel you were kept waiting for your meal. Without a doubt this place serves the best beef, chicken and pork steaks in Goa and maybe even the country. It’s a no fuss, no sauces kind of place. Only good old, manly meat eating. The secret is in the way you cut the meats. We could give you more hints, like spa, hotel and vegetarian restaurant on Candolim but that would really spoil the fun. In the Aesops fables, Thalassa appears as a woman formed of sea water rising up from her native element. An eerily similar vision is formed as you enter the muslin curtained, mirror filled, all white Grecian restaurant near Nine Bar in Vagator. Amongst patrons, who looked like they could be at any voguish carefully laidback restaurant in Mykonos, low key waiters hover, taking orders of prawn or chicken souvlaki, mousakka and greek salad. End this mythical evening with plates of the deliciously addictive profiterole balls. Inspired by the recipes of his childhood and those he himself was cooking up daily for friends and family at home, it wasn’t long before the flavours of Andhra Predesh, Karnataka, Tamil Nadu, Kerala, Goa and even parts of Maharashtra were filling the kitchen and finding their way onto the table by Satish Warier. Today one can expect to find a mix of anything from their signature Syrian Christian beef and backwater prawns to a plate of chili pork ribs with roasted tomatoes and coconut chutney to the zesty mushroom black pepper fry. These alongside South Indian staples such as egg appams will be sure to have you experiencing the true taste of Indian cuisine. Perfect for lazing holidaymakers, ever-famous full-moon parties and famed flea market, Touristy but happening beaches on the coast, with its brown sands, and the Chapora river. Akin to the Hamptons of Goa, only top notch luxury here with it's tentacles to the very expensive Assagao area. Vagator Beach has dramatic red cliffs looking down on the shore and two fresh water springs within a stone's throw of the sea. Vagator Beach is split into two main beaches by a seaside headland which holds the car park and lots of stalls selling trinkets, clothes, soft drinks and snacks. As you face the sea, on your right is Big Vagator Beach and on your left Ozran Beach, more commonly known as Little Vagator. A series of rusty cliffs and headlands bursting out of thickets of greenery help to give Vagator and charming Chapora one of the prettiest settings on the north Goan coast. It’s this back drop, rather than the beaches (which are largely forgettable) that have made these two little villages the centre for the wild, outdoor parties that made Goa (in) famous. Renting a villa is simple, safe, and secure. Our extensive portfolio includes options for a wide range of budgets and sizes, from 1-bedroom outhouses to multi-bedroom estates in ever growing popular destinations across the globe. Most villa webpages have info for you to shortlist from, including photos, video walkthroughs, approximate location, fixed prices, nearby activities, and more. When you find the right match, you can either fill out the brief inquiry form on the contact page, email us at sales@lushprive.com or call us at +91 90217 90217 to process the booking. If you've sent an online inquiry, a Villa Specialist will contact you as soon as possible by email and/or phone to confirm availability and answer your questions. Our Villa Specialists have a lot of experience and travel often to inspect our properties, so they can offer firsthand knowledge and advice. If the villa you've selected is not available, your Villa Specialist will suggest alternative villas to fit your budget, group size, and desired amenities. Even if you don’t have all the details pinned down yet, our experts will work with you to narrow down your options.